October began with a positive update from the latest research from the Teagasc Ballyhaise Dairy Research Project including grass production and usage, compact calving and herd reproductive performance; and profitability. On that note, for the first time ever Alltech held its Global 500 event. AgriLand live streamed the event and reported live on keynote speakers including Kepak’s Kevin Cahill, UCD’s Dr Patrick Wall, Holland’s Joep Driesen, Alltech’s Steve Elliott, Glanbia’s Sean Molloy and Rabobank’s Bill Cordingley. Alltech president Dr Pearse Lyons has told AgriLand that Irish dairy and livestock farmers can look forward to a profitable future, given the growing demand for milk and beef in countries around the world. Full interviews are available here. More good news came with the announcement of new foundations for the The Virginia Show in Cavan next year in the form of €500k sparkling community centre. Speaking to AgriLand, Virginia Show organiser Kathleen Duffy said it was “a fantastic and emotional news”. Entrepreneurial spirit key to farm success, according to the DCU Ryan Academy, who opened its latest farm entrepreneurial programme this month.And the positive news kept on rolling in October when figures released show more than 1,500 hundred students have enrolled in further-level courses in agriculture and horticulture at Teagasc colleges this autumn, a 144 per cent increase since 2006. This month saw the Minister for Agriculture Simon Coveney met Irish Co-operative Society dairy co-operative chairmen for a ‘mutual sharing of viewpoints’ relating to the future of the Irish dairy industry. ‘Lock-in’ milk prices to curb future market volatility was the key discussion. Worrying news came when another significant ash dieback find in Leitrim was reported in October. “Ireland has been exposed and it could have been contained.” These were the strong words of Irish Farmer Association (IFA) forestry chairman Michael Fleming at the time. Meanwhile figures showed hundreds of dairy farmers were seeking milk quota to avoid super levy fines between now and 2015 in the latest round of the Department of Agriculture’s Milk Quota Trading Scheme. Also big news this month was that more than 1,000 farmers in the Midlands have signed long-lease agreements with wind farm companies, an Oireachtas Environment Committee heard. The Lakelands Wind Farm Information Group was presenting its findings to the committee and it claimed significant anecdotal evidence that many of the farmers are now seeking to opt-out. This was confirmed by the IFA. According to the association’s climate change and renewables spokesman, Jer Bergin, the IFA has secured the best possible wind farm development negotiations for farmers across Ireland and it is up to the individual farmer to seek professional advice on legal, tax and proper planning. The role of vets in farm efficiency and expansion was examined this month. “Ireland faces into its biggest opportunity to grow its food production from livestock and dairy sectors since joining the EU, when milk quotas are abolished in 2015. Vets can play a critical partnership role with farmers at this time in minimising animal disease risk and the consequent losses in output and production.” This was according to John Gilmore, chairman of the Cattle Association of Veterinary Ireland, who spoke at its annual conference in Galway. So too was the economics of animal disease. “The total economic damage caused by production diseases in livestock is larger than the damage caused by notifiable diseases such as foot and mouth.” This was according to Henk Hogeveen, an associate professor at the Business Economics of Wageningen University and the Department of Farm Animal Health of the Faculty of Veterinary Medicine of Utrecht University, who was also speaking at the Cattle Association of Veterinary Ireland conference. Meanwhile AgriLand revealed that Ireland’s District Veterinary Offices have reduced from 58 to 16 in a cost-cutting exercise by the Department of Agriculture. Great innovations were announced this month too with a new interactive map launched by CellCheck. A new user-friendly, interactive CellCheck map became available online at www.cellcheck.ie, showing the locations of all service providers around the country who have completed CellCheck Stage Two Service Provider training. Also came warnings of a superley nature. Increasing milk supplies brought into focus the size of Ireland’s potential superlevy bill next April, according to the ICMSA in October and it estimated that the bill may exceed €16.5m. Budget 2014 came and went with much fanfare. The impact on farming and agriculture in Ireland was considered for once as mild, bearing in mind cuts in previous years to such worthwhile schemes as Suckler Cow Welfare , REPS, Early Farm Retirement, in fact any scheme that was funded or part-funded out of the national envelope. All the reports are available here. Ireland also delivered a world first in beef genomics. Support measures for the Irish beef sector will include a world-class beef genomics database that will result in payments of €40m to suckler farmers in 2014, it was announced in Budget 2014. Click here for the on-the-ground workings outlined. There was also a warning issued, in the form of a review of farming tax reliefs and incentives in future budgets, so it wasn’t all good news. Also top news this month was that the chairman of Aurivo, formerly known as Connacht Gold, agreed to chair a new Land Eligibility Appeals Committee as the digital mapping review of 950,000 land parcels by the Department of Agriculture got under way with regard to payments made in 2009 to 2012. September was payout month too. The previously flagged advance of the single farm payment (SFP) was issued out. It began with €540m to 108,000 farmers. Meanwhile, there was a mixed Irish reaction to Canadian-EU trade deal, with significant concerns raised with regard to the beef sector in particular. Teagasc issued its annual report this month. It said its staff moratorium situation was at a critical point and it recorded that 42,6000 farmers sought advice as farm incomes fall 15 per cent. Full details of its report is available here. 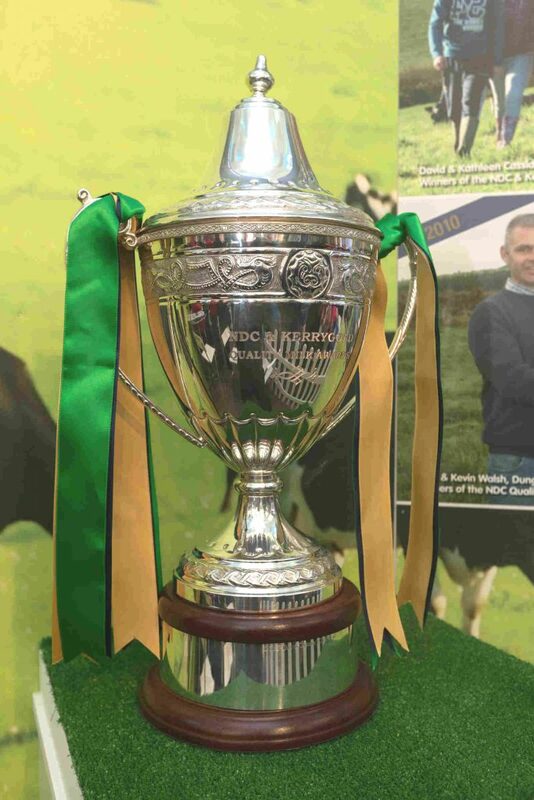 Good news this month too as Limerick scooped Ireland’s dairy top prize. 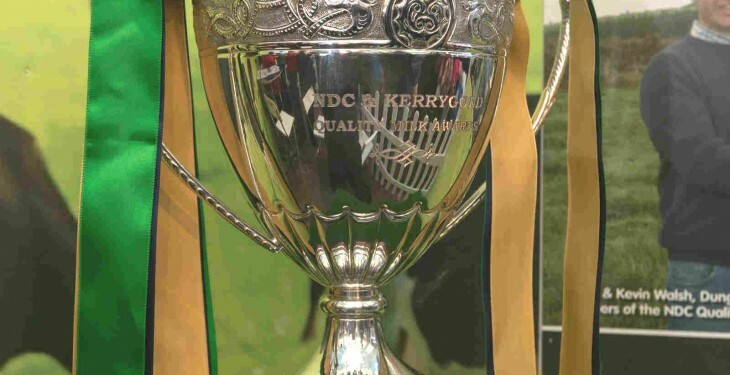 “It was our goal in 2008 and we set out to get it and win,” explained Edward Fitzgerald, who scooped first place for best dairy farm in Ireland at the National Dairy Council and Kerrygold Quality Milk Awards. And the news just got better and better: A €33m expansion for Dairygold in Cork; a new Kerry Group development centre in Dubai; and an Irish Dairy Board €20m investment in Saudi Arabia. Also headlining this month was the Teagasc Liquid Milk conference. A tremendous turnout was noted, with presentations on the importance of a farm development plan; Individual cow yields are a ‘red herring’ among others. There was good news for Irish research too. According to the 2013 SCImago Institution Ranking report, Teagasc placed more publications in top quartile journals within its category than any other Irish research organisation. Very impressive indeed! And last but by no means least, good old ABP secured the return of the Superquinn sausage much to the delight of the Irish nation!